Back in 2011, when I was looking at the studies on minimal running, many of my podiatrist colleagues warned me that I was headed for misery. Bone fractures. Heal avulsions. Neuromas. And I now say to them: nonsense. In the past five years, I’ve run two half marathons and have booked hundreds of miles running in minimal shoes — with many miles barefoot, on concrete, some on the beach. I eliminated all of my cushion shoes, including dress and hiking shoes. I replaced them all with shoes that have no support or cushion (yes, even the dress shoes). After running my first half marathon, I was amazed that the only soreness I experienced was not in my gastroc/solius (calf), but in my larger tissues of the upper leg. Forefoot-striking places tremendous loads on the lower leg muscles. In fact, it's one of the most commonly injured areas in minimal runners. So I did expect soreness after my run, mainly because I did initially when I first transitioned from heel to forefoot-strike. The same was true on my second half marathon. In fact, when my massage therapist worked my lower leg and feet, there was no direct tenderness in any of the tissues! The upper leg (quadriceps et al.) were extremely tender, but not the end receiving the forces. When I first started in minimal shoes, my lower compartment (gastroc/soleus) was so tender that I could barely walk the next day. There were days that I had to just rest because I was so debilitated. Part of the issue was the way I was striking; instead of staying relaxed, I kept my foot in flexion, almost as though I was walking on my toes. I was overcompensating, trying to hit that sweet spot of the forefoot. So at first there was no soreness in the upper legs — just the lower compartment. I found this interesting — why can I run 13.2 miles now and not have that soreness? And why did everything shift from lower compartment to the proximal thigh? Well, as I just explained, a lot of it is the biomechanics of the foot. Switching from heel to forefoot-strike takes a bit of practice. You cannot simply throw out the cushion shoes and run barefoot without consequence. While everybody is different, the core methods of how to strike in minimal shoes really are the same. How you do that has many variations, but the target “zone” is the same — the large knuckle (metatarsal) just behind the big toe, also known as the forefoot. I found that closing my eyes and letting my feet strike this point naturally really helped. And this is one of the reasons many studies (and my colleagues) show so much variance in running injuries, such as bone fractures and avulsions. The failure to properly forefoot strike. Why are there reports of foot injuries? There are a few other variables to take into account. One is weight. Runners who are over weight and try to switch to minimal shoes without gradually going into it are placing more forces on the running feet and body; it's simple gravity. There is also the base component. People such as myself who have been running for a long length of time (say a decade or more) develop a natural base of a running body — not merely in physicality, but in biomechanics. There is a brain-tissue-memory embedded. Ask any runner with a base how easy it is to return to running after a long period of not running, and they will tell you it is a natural process. With me, after a period of time away from a distance of six miles, the first two miles are challenging, but then something intrinsic (the base) kicks in, and something else takes over. This happened to me in Pasadena when I had not trained for a 13.2-mile race. After the third or fourth mile I slipped into that zone-base. Runners with a base will adapt to minimal running more easily than those with no base. Many studies show the same thing. Based on my own conversations with fellow runners — and those who transitioned from heel to forefoot-strike — and of course my own experience, it's quite obvious this is true. So the upper leg soreness makes complete sense to me now. Since I have honed my running technique, I have shifted forces across the body and away from the lower leg and feet, or the main force area. My technique for running has changed from the way I started five years ago, and it continues to evolve. The body is relaxed, especially the tissues in the tibial compartment — always. When I was in my first year of college, I read Jim Fixx's The Complete Book on Running. I was then fortunate enough to meet him before he died. I told him one of the things he said in his book reverberated in me, especially now with my work in internal power: the importance of keeping the hands and body relaxed. The pelvis floats and the head (skull) is suspended from the occipital (posterior skull) region. The hip does not move lateral, or up and down. Imagine the pelvis as a bucket filled with water. When running, don't spill the water. Watch Olympic runners — the pelvis does not move. Running (and human movement) is a series of spirals. With the pelvis floating, the legs and spine move in spirals, propelling the body forward. Energy is moved up the spine, posteriorly, through the occipital and down the front in a circle. It's as though you are attached from the navel (dantian) to a line that draws you forward, while at the same time the energy shoots up the spine from spirals in the body, and down from the crown to the front to the feet. At the same time, as crazy as this sounds, there is a line pulling you backward. This is yin and yang, folks. How do the Sherpa's at Everest carry equipment up that mountain effortlessly — loads that are often 93 percent of their bodyweight? Yin and yang. 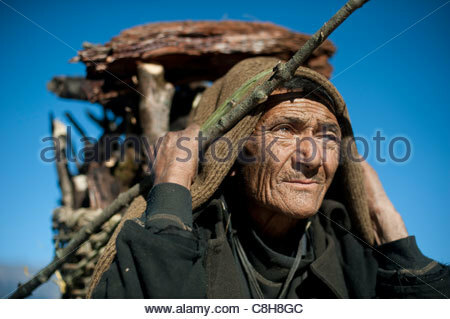 They use a namlo headstrap, (http://l450v.alamy.com/450v/c8h8gc/an-elderly-gurung-man-from-the-manaslu-region-carries-firewood-c8h8gc.jpg) and it wraps around the forehead and attaches to the heavy loads they carry. The force is applied through the anterior head, posteriorly, and as they walk, the occipital (head) pulls up and out, dissipating the force across the body. Feel it: have someone press into your forehead with a medium amount of force. With the chin tucked (to expose occipital), pull up from that point, as though your spine is a bungee cord. Feel how the force of the push on your forehead is dispersed, or lessened as you pull up. Ask the pusher, too, what he or she feels. The force dissipates. In other words, the Sherpa are not fighting the force of the enormous loads they carry as they climb the mountain. If they did, they would fall backward from exhaustion. They are minimizing that force as they move forward by spreading it across the connective tissues. And something else — their bodies are relaxed! It is the same with running. See a discussion here. So running to me now is not pounding pavement, but floating forward, delicately hitting that sweet spot of the forefoot. Any force is transmitted in spirals, across the connective tissues of the body, and not in one place, such as the heel or knees or hips. The force-energy moves across the body, through the fascia. This is one of the reasons why I experience no soreness in the tibial compartment. Heal strikers could also vary these forces by applying this methodology. I am amused watching most people run. Their faces are grimacing, their bodies taut with tension as they fight the forces on the run. My last half marathon was in Pasadena, California. The course was full of hills, the weather horrific (non-stop rain and 48 degrees), and I only had 10 days to train for it. There is no way I could have completed that course comfortably without applying, with the minimal approach, the methodology I keep refining. Forefoot running has a shorter gait, but it's efficient in its style. Here is an undeniable fact: Minimal shoes strengthen your feet; this is backed my tons of studies, and by common sense. So it doesn't matter whether you run or walk. Take away any cushion and support in shoes and the feet-body must respond. It is the same with braces for the joints; wear a brace all the time and the muscles that surround that joint cease supporting it. The tissues atrophy, and when the brace is removed, there is more dysfunction and pain. In my most humble opinion, modern cushion shoes have ruined our feet. Through the comfort our feet ceased to function correctly. Can anyone wear minimal shoes? Yes, but with proper guidance. Can over weight people wear minimal shoes? Yes, but with proper training and hopefully weight loss if need be. The truth is — and this is based on the hundreds of patients I've treated — there are some messed up feet out there. This is partly because of shoes (high heels, too much cushion) and neglect, and partly because of the shape of their feet to begin with. Flat feet (pes planus) can still be handled in a minimal shoe change. The arch will strengthen. Despite all the recent (and still debated studies) on minimal shoes, the reason most people have issues wearing these shoes is the condition of their feet (and sometimes bodies). Shoes are a multi-billion dollar industry. The truth is, these companies want you to wear their comfortable, cushioned shoes. The mattress industry is the same: comfort, comfort, comfort. Yet, what is comfort? In many countries like Japan, people sleep on firm tatamis and there is little complaint of pain issues. In fact, most of the population in Japan have good posture and movement, regardless of what they sleep on. One of the reasons for this is the Japanese population take better care to train their bodies. In the United States, we tend to abuse ours. Think about that — we absolutely punish our feet with our footwear. And our bodies? We are told we must join a gym and destroy our bodies for an hour to get into shape! What complete nonsense. If any of this makes sense and you want help on switching to minimal shoes — or want to really understand how the body responds to exercise — here I am. Oh, and check out my Integrated Body course; it has a lot to do with everything I'm talking about.